The following brief note is aimed at drawing further attention to an intriguing Late Saxon cemetery at Ketton, Rutland, mentioned briefly in a previous post. Although the cemetery is in many ways typical of the era, with very few grave-goods and no obvious signs of it being a Scandinavian/Viking immigrant burial site, an isotopic analysis suggests that at least one of the people buried in this cemetery—and potentially several more—very probably spent their early life in Scandinavia. 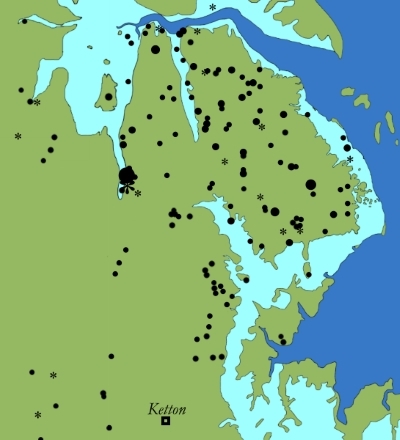 Scandinavian and Anglo-Scandinavian finds of the late ninth and early tenth centuries set against the likely Middle Saxon landscape of the region (light blue indicates saltmarsh and freshwater marsh/wetlands). 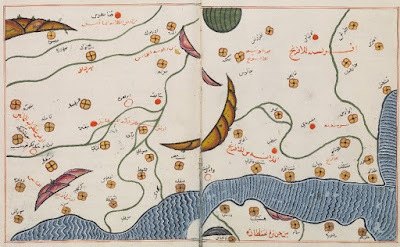 Note, this map includes finds of imported Islamic dirhams, denoted by stars, which probably arrived via Scandinavian trade networks, and an indication of the number of finds is provided by the relative size of each symbol. 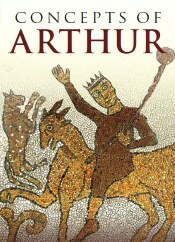 Image: C. R. Green; finds after K. Leahy and J. Kershaw, with additions from the Portable Antiquities Scheme and the Corpus of Early Medieval Coin Finds. In general, remarkably few burials of immigrant Scandinavians/Vikings are known from England, despite the fact that documentary, linguistic and archaeological evidence all appears to point to a degree of significant Scandinavian immigration into eastern England during the mid–late ninth century and after. 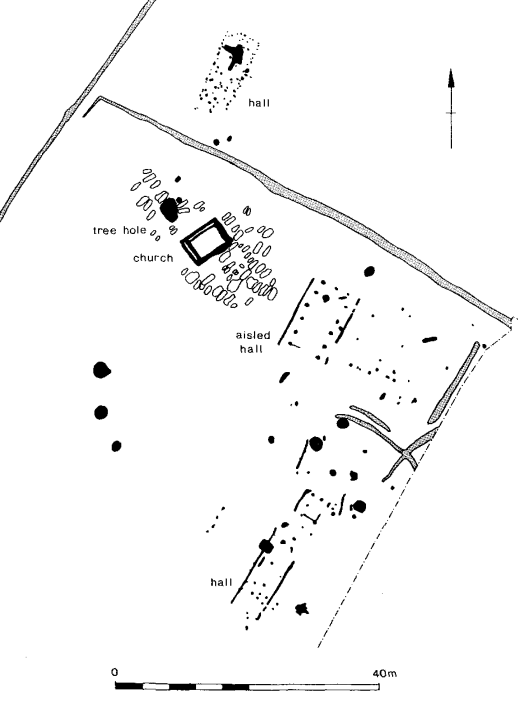 As such, the early medieval cemetery at Ketton would seem to be of some potential wider interest if it does indeed include first-generation immigrants from Scandinavia, especially as it it is located in an area with, as yet, little material evidence for the presence of such Scandinavian migrants. With regard to site itself, 72 'Late Saxon' inhumation graves arranged in rows were excavated from Ketton, Rutland, in the late 1990s, with this cemetery having been subsequently radiocarbon dated to between the late ninth and the mid-eleventh centuries. These burials were located around the root hole of a large tree (possibly an ancient yew) and a simple rectangular timber church, with at least four other timber buildings/halls situated to the north and south of the cemetery that were associated with tenth- to eleventh-century pottery. 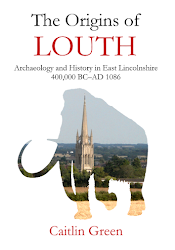 Teeth from 22 of these 'Late Saxon' burials were subject to post-excavation isotopic analysis, with the results being reported in Sarah Tatham's 2004 PhD thesis and a 2012 survey of all British oxygen and strontium isotope results. Whilst the initial report from 2004 implied that the results of all of these burials fell within the expected local oxygen and strontium isotope ranges for Rutland, more recent work makes it clear that this is almost certainly not the case. Instead, five of the burials (c. 23% of the total examined) have oxygen isotope results significantly below the expected range for not only Rutland but also Britain as a whole—discussed in more detail in a previous post—and one of these burials moreover returned a value of 15.5‰ δ¹⁸Op, well below any credible British range for tooth enamel phosphate oxygen isotope values. The five results in question are presented below with the tooth enamel δ¹⁸Op values converted to drinking-water values using both the 2010 revised Levinson equation (Drinking-water value A) and the 2008 Daux et al equation (Drinking-water value B); note, the expected drinking-water oxygen isotope value for the Ketton area is around -7.8‰. With regard to these five results, several points can be made. First, it is worth emphasising that there are very few environmental, biological, or cultural processes that that can result in human tooth oxygen isotope values that are lower than would be expected on the basis of the consumed drinking-water, as has been recently emphasised by a study of Viking-era burials in Britain and Ireland, and values similar to the five highlighted here are considered 'likely to indicate origins in a colder or more northerly climate' than Britain or Ireland (Montgomery et al, 2014, pp. 62–3), rather than, say, an unusual cultural practice relating to food preparation or natural biological variation. Furthermore, the exceptionally depleted δ¹⁸Op value of 15.5‰ produced by one individual at Ketton (KCC 065) is more than 3 standard deviations below the British mean, meaning that there is a less than a 0.5% probability that this individual originates in either Britain or Ireland. Consequently, his result, at least, must be considered almost certainly indicative of a childhood spent somewhere like Norway, Sweden or Iceland, where drinking-water with values similar to those he consumed in early life—potentially as low as -11.5‰ δ¹⁸Odw—are encountered. 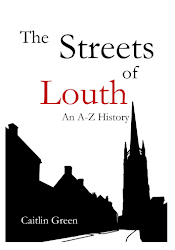 Second, whilst the place-name Ketton is of Old English origin, it is worth noting that there is a potentially very suggestive place-name found only two miles to the west of the Ketton cemetery, namely Normanton, a name that means 'the farm or estate of the Norwegians'. Such a name is, of course, arguably highly suggestive given the isotope results reported above, especially that of KCC 065. Third and finally, the presence of at least one individual of Scandinavian origin—and perhaps as many as five—in a 'normal' Late Saxon cemetery is generally worthy of wider note, especially as the people buried here otherwise look simply like rural workers on a manorial estate of the late ninth- to eleventh-centuries. 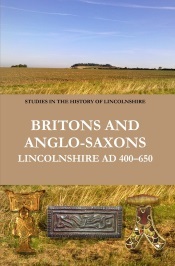 In this context, it can be observed that the Ketton burials are not totally alone in this regard, as a similar situation has very recently been recognised at Masham, Yorkshire, too, and it might be consequently suggested that these two sites ought to be taken together when considering the degree of Scandinavian immigration to the Danelaw and the nature of Anglo-Scandinavian interaction within this region, something that continues to be a topic of interest. The geographic distribution of areas with rainwater/drinking water oxygen isotope values below ‑10.0‰, shown in dark grey, and below -12.0‰, shown in black; note, drinking water in the UK has δ¹⁸O values ranges from around -9.0‰ to -4.5‰. Image: C. R. Green; see further the caption to figure 1 in this previous post.